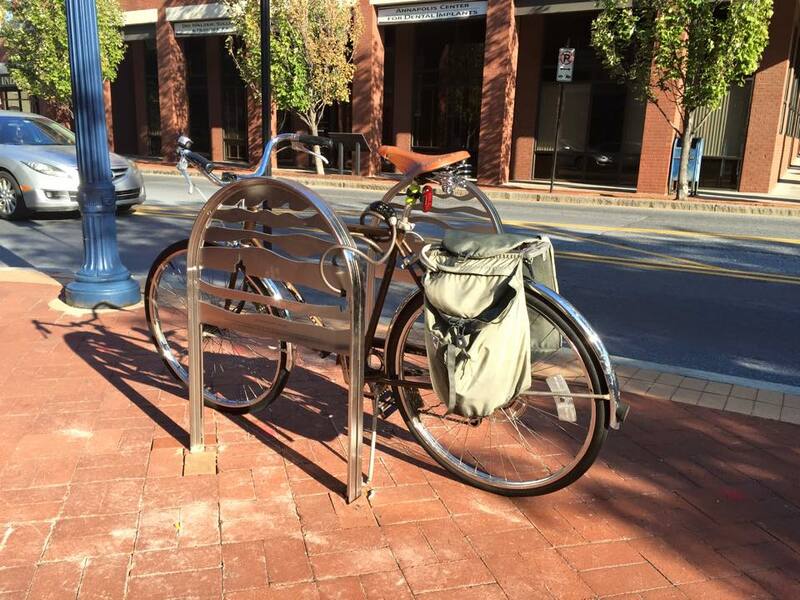 On Monday morning, September 14, 2015 at 10:00 AM, the City of Annapolis will unveil 11 artistic bike racks being installed around the city. If at all possible please plan to attend this celebration taking place at Acton's Landing Park at 10 AM or bicycle ride with fellow ABC members to the event from the Annapolis Neck Library at 9 AM. ABC Member Karen Weiler karenfweiler@gmail.com will lead a group of cyclists from the Annapolis Neck Library (located across from Quiet Waters Park) at 9:00 AM for a ride through the Bay Ridge area then up to the event at Acton's Landing Park. She will finish up with a ride through Quiet Waters Park before returning to parking. Join Annapolis Mayor Pantelides, cyclists, history buffs, BikeAAA and others as we celebrate the installation of 11 artistic bike racks around the city of Annapolis. Each depicts a historic sailing vessel. 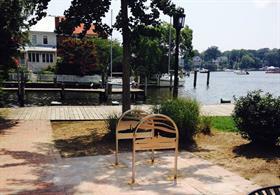 For more about the new bike racks click http://www.annapolis.gov/government/city-departments/transportation/artistic-bike-rack-project. We look forward to a good Annapolis Bicycle Club turnout!